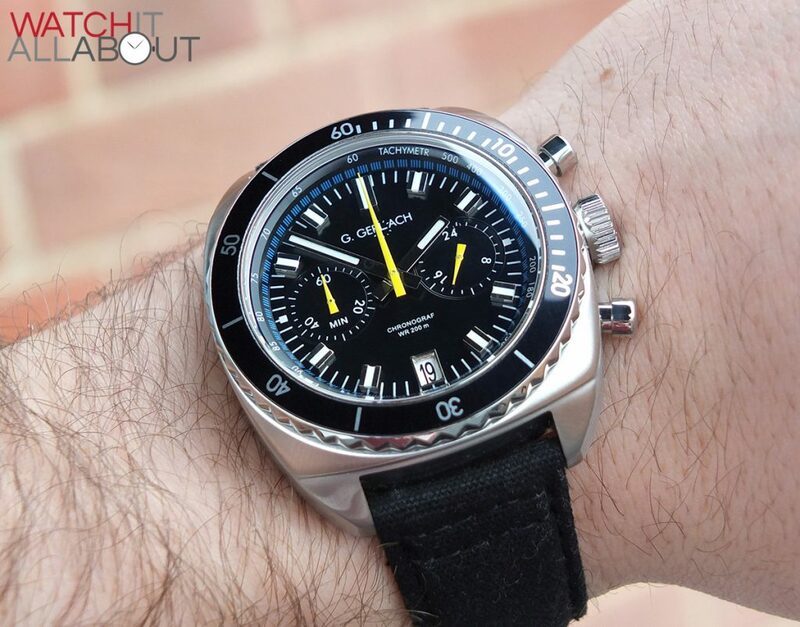 Published by Joshua Clare-Flagg on 1 Jan, 2016. 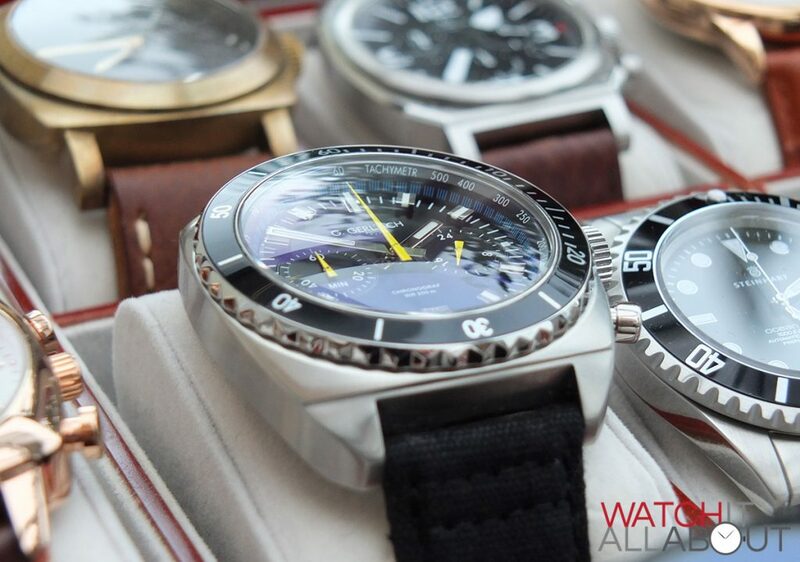 Since entering the affordable watch market in 2012, G. Gerlach have built up quite the reputation of making solid, well specced watches for competitive prices. The fact that they’re made in Poland and priced in Polish złoty means that the pricing is usually quite favourable. The Enigma machines were electro-mechanical cipher machines used by the Germans in WWII (quite an intriguing read). 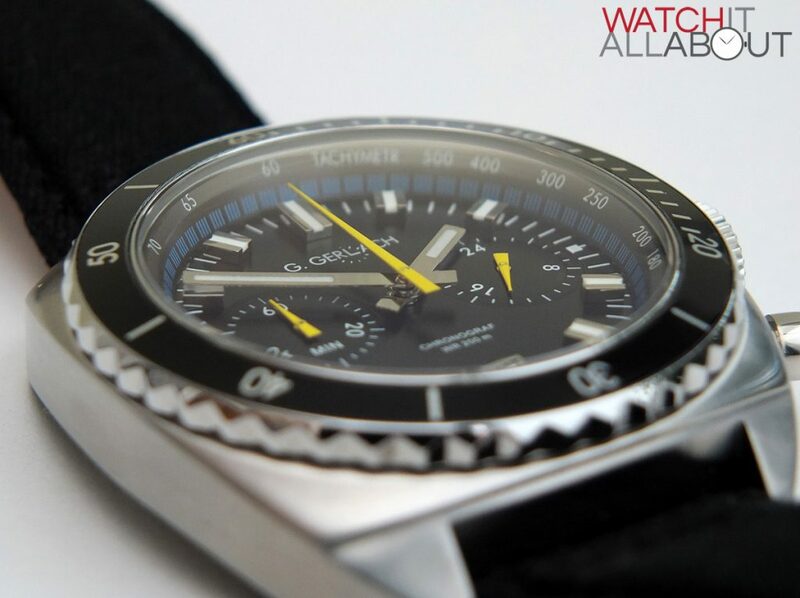 Why have G. Gerlach named this watch the Enigma? Well, 3 Polish cryptologists broke the codes in 1932, so it’s an ode to them. I also think the mecha-quartz movement is a link too. 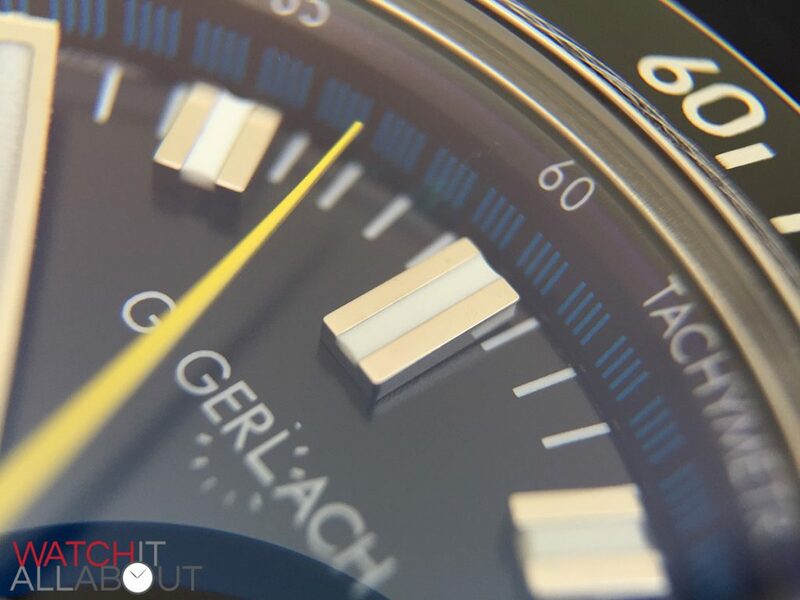 The G. Gerlach Enigma will cost you 950 Polish zł / £160 / $240, which isn’t really too much – especially when you think about what you get for that money. 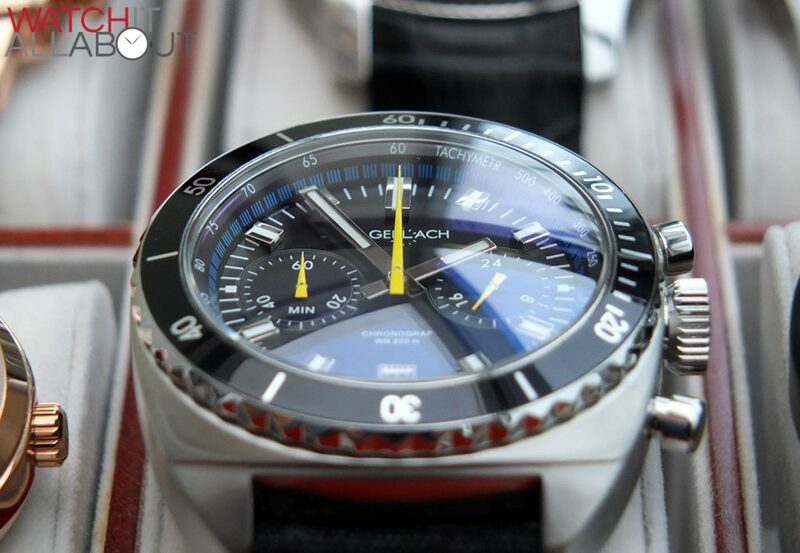 Double domed sapphire crystal, Seiko mecha-quartz movement, and the usual well-built nature supplied by G. Gerlach make it quite the proposition. I also think it looks pretty cool. Let’s take a closer look to see if it is a good deal. The cushion case is a pleasant mix of brushed and polished angles, with a distinctive ledge separating the lugs from the main section. The case is chunky, well engineered and impressive for the price. 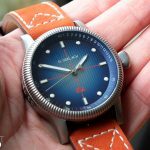 It also has a quality appearance to it thanks to the alternating finishes between the brushed case and polished bezel grip and crown / pushers. 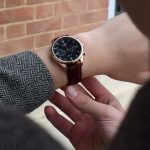 At 43mm in diameter with a height of 13mm, it has a definite wrist presence, especially when coupled with the hefty weight of 121g. The crown and pushers are pleasantly designed, fully polished and well manufactured. 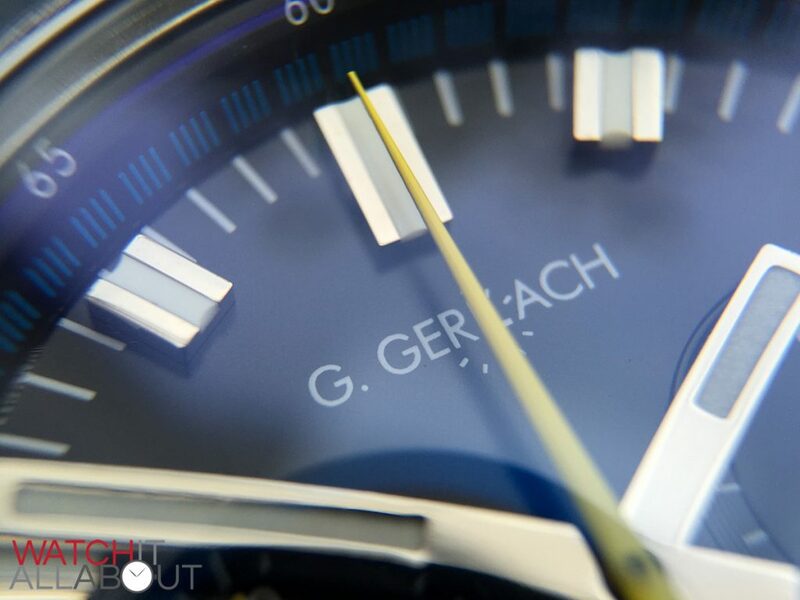 The oversized screw-in crown is almost an onion shape, with decent trip and has the G. Gerlach logo lightly engraved on the end. 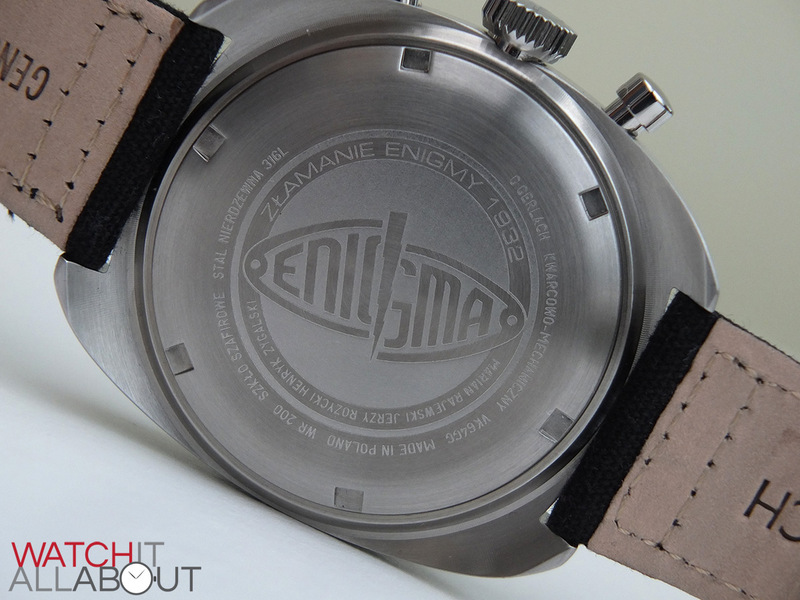 The screw-in caseback features a cool Enigma motif with various details surrounding it. All markings are lightly engraved, personally I would have liked it to be a bit deeper, but I can’t have everything. 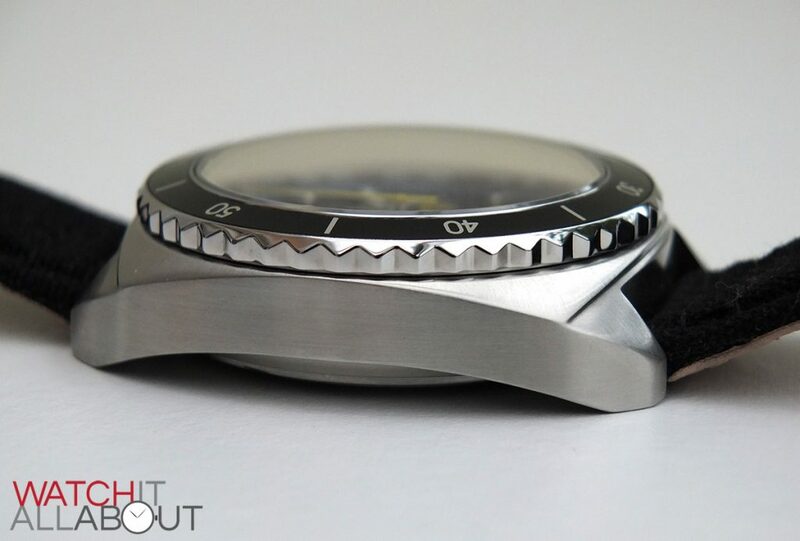 The bezel insert is nice and reflective, which works alongside the crystal and dial to provide flashes of light whilst wearing it. The bezel action is pretty poor though, it’s not very smooth at all, with a grinding feeling to it. The double domed sapphire crystal merges nicely with the bezel, offering a smooth, gentle curve across the entire top of the watch. Double domed ensures clear legibility at all angles rather than it getting distorted – not something you’d expect on a watch of this price. 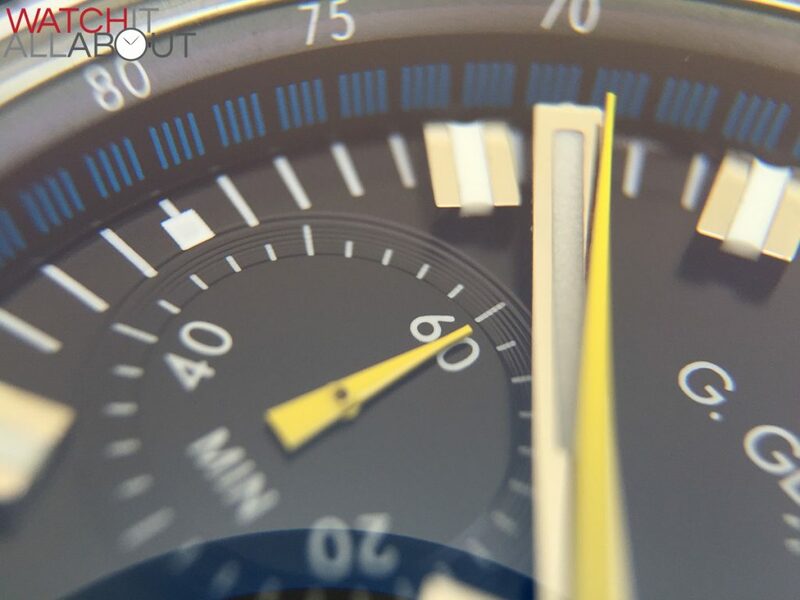 The anti-reflective coating is great too, providing a high-end looking splash of blue when the light hits it. 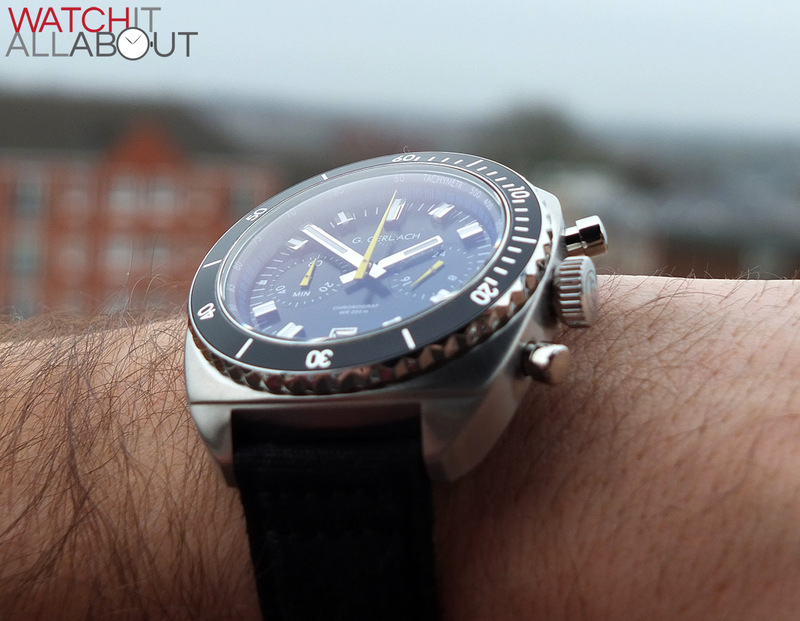 The quality of the dial is another thing that has impressed me. The applied elements and main 2 hands are all polished, which reflect the light attractively. 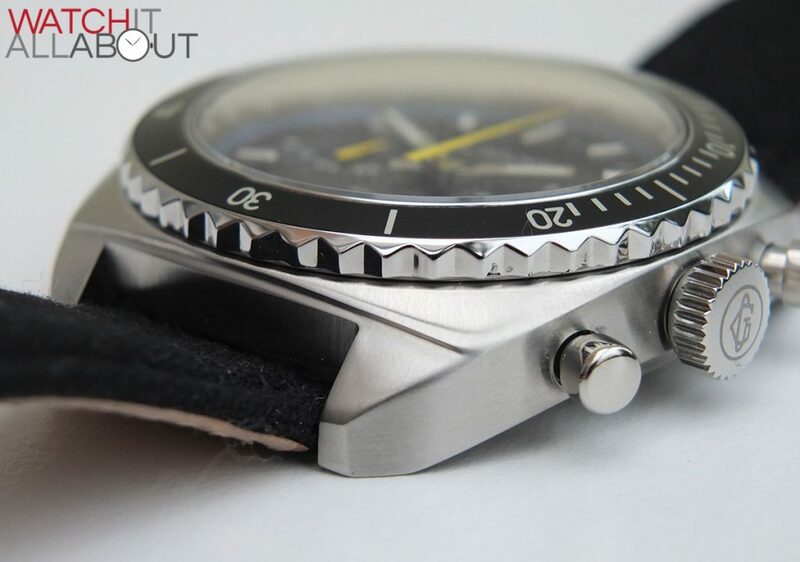 There’s a number of elements that show impressive attention to detail for the price, such as the date window border, subtle concentric circular pattern surrounding the subdials, and a nice deep rehaut with a tachometer within. 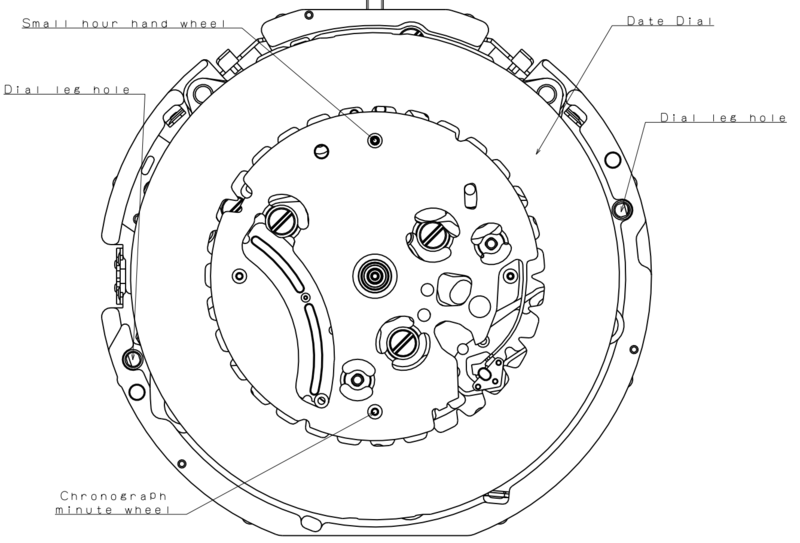 It’s also designed well, balancing the subdials and chinky features skilfully with the entire package. The hands are two types, the minute and hour being a simple, flat polished rectangle, filled with lume. 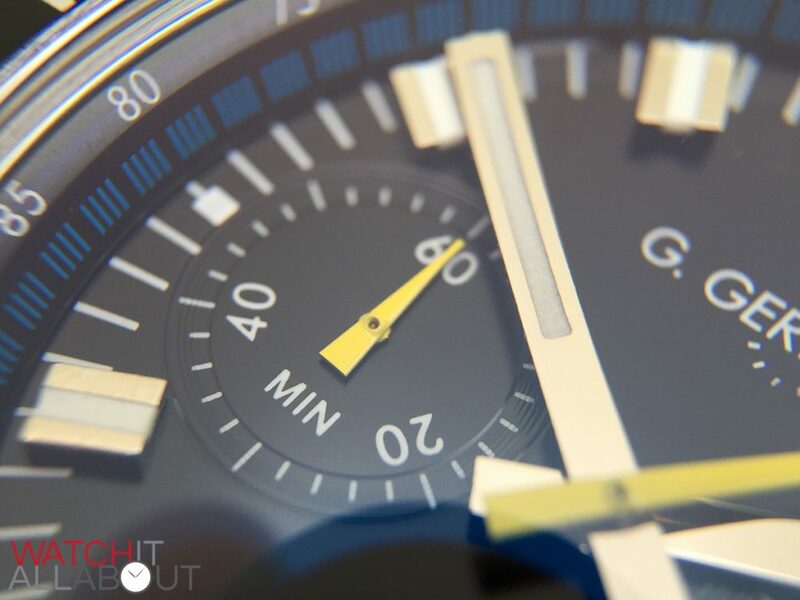 The chronograph second and subdial hands are a bit of a juxtaposition, being thinner, more elegant, and yellow which provides a splash of colour. The hour markers are similar to the hands, in that they could be a cross-section of one of them. 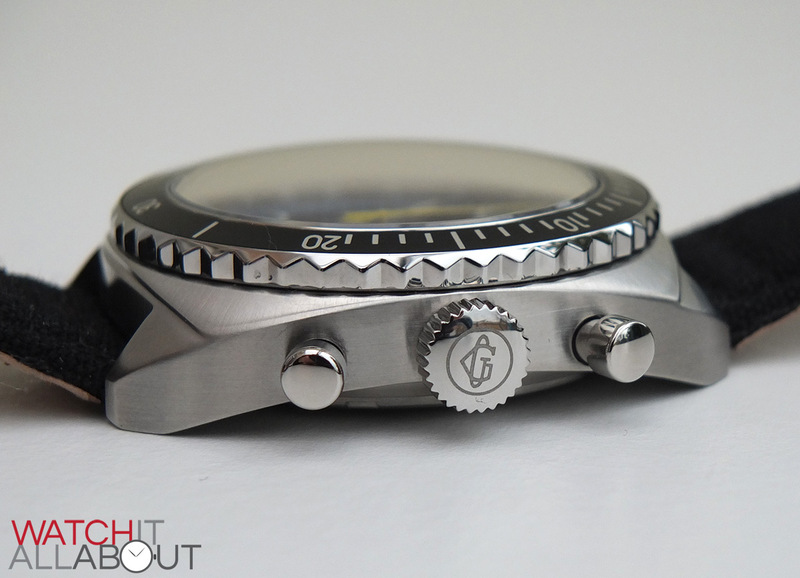 With polished steel edges and a lume channel down the centre, they’re surprisingly heavily-built. 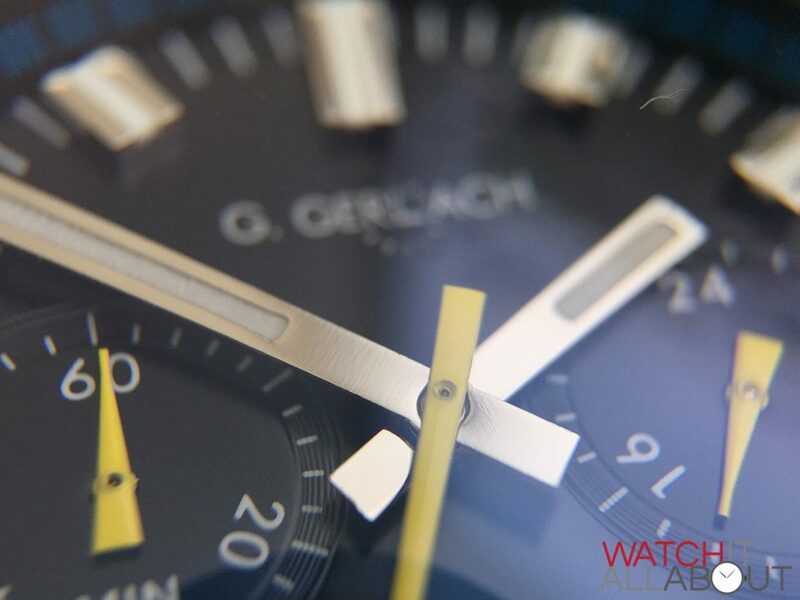 They look like G. Gerlach haven’t spared any materials making these, which are yet another impressive element to the watch that makes it look more expensive than it is. 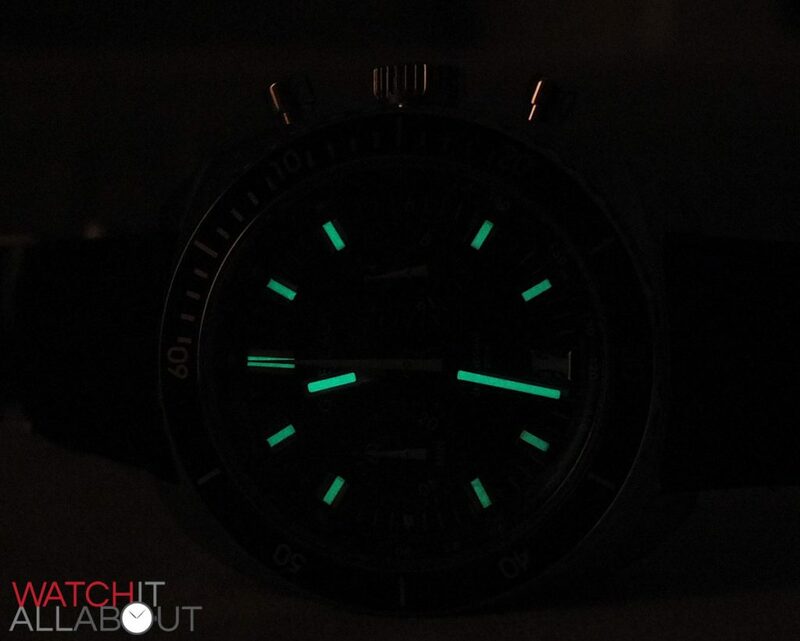 The lume isn’t too great, it takes a while to charge and isn’t the brightest. 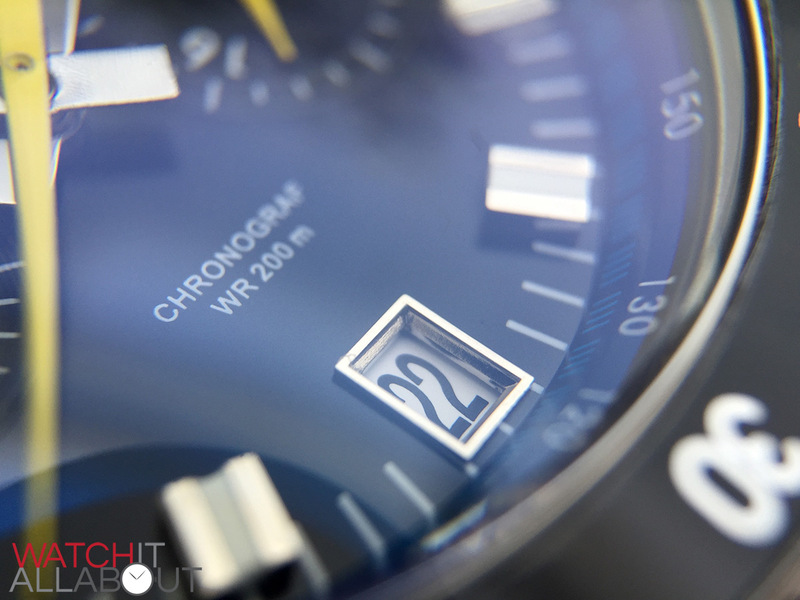 The printing throughout the dial is delicate and sharp, with no smudges or signs of poor quality. For some, the standard white date wheel will be a disappointment but let’s not forget the price of the Enigma. The date window is encompassed by a precise polished steel border. 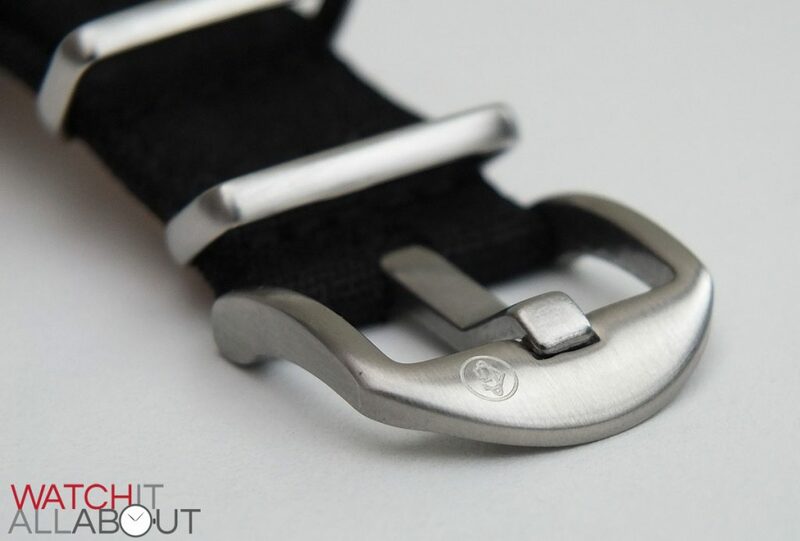 The strap is probably the aspect I’m most unhappy with. 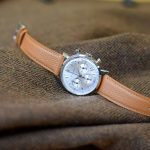 Not that it’s not fit for purpose, but rather surprisingly I never find canvas straps to be particularly resilient or hard wearing. After a could of weeks, the threading is already showing plenty of wear and I’d question its longevity. 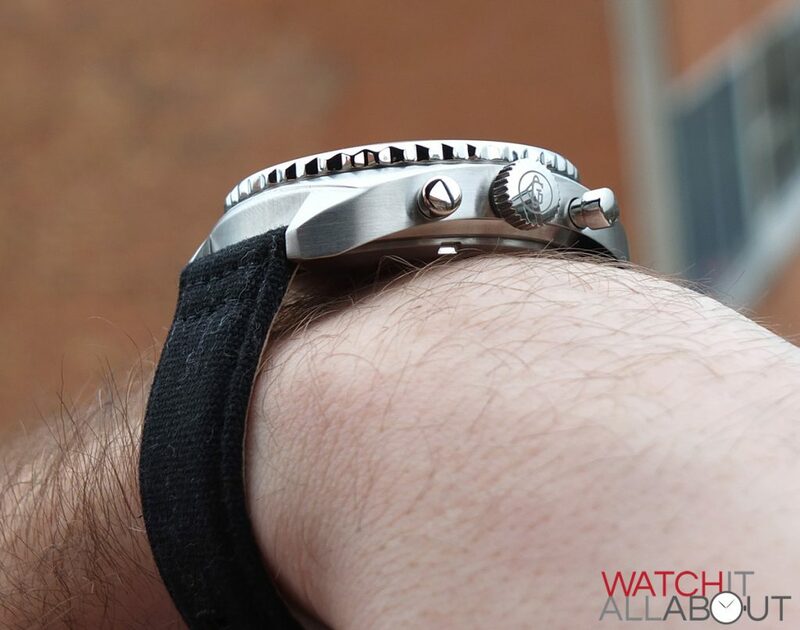 The hardware is well made, although the keeper loops are fixed in their locations – so if you have a small wrist you’ll have a long length that flops around at the end. 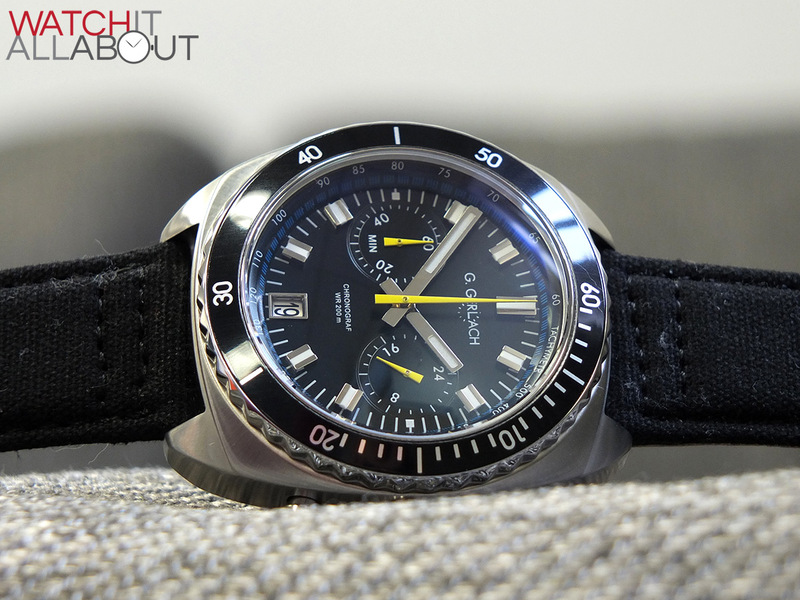 The movement powering the Enigma is the Seiko VK64. It’s quite well known for the fact that it’s a “mecha-quartz”. 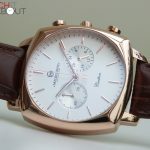 Basically, it’s a movement that has both mechanical and quartz technologies within – the time is standard quartz, but the chronograph is mechanical, but powered by battery. 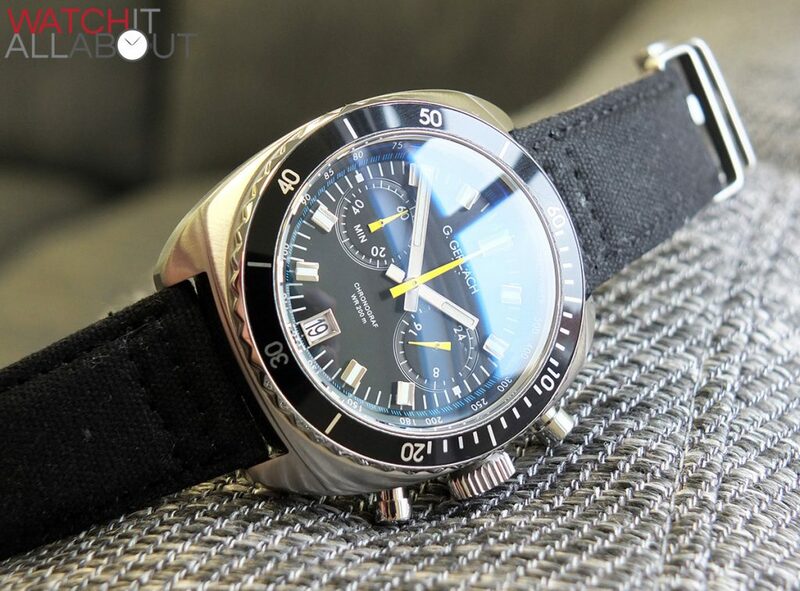 So you get a “sweep” of the chronograph second hand, at 5 ticks per second. 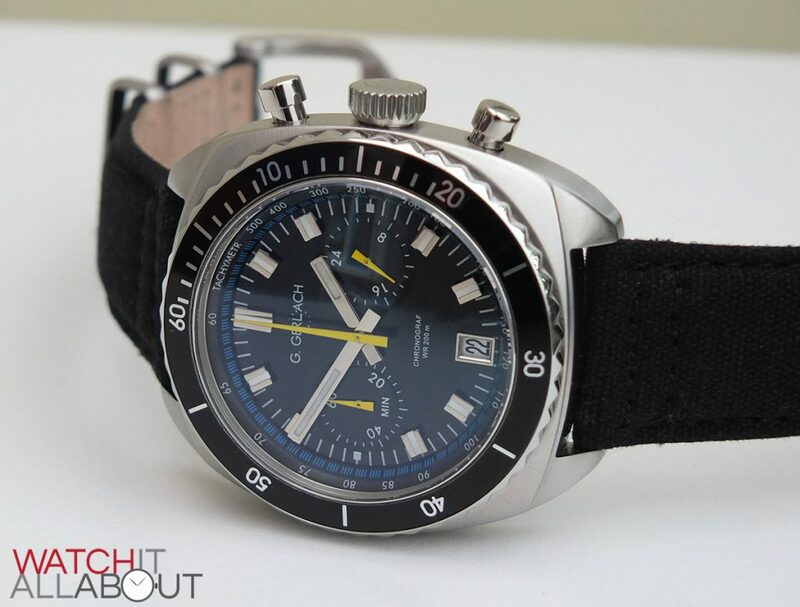 As it’s a Seiko movement, you can be sure that it’s going to be well made and reliable, and will stand the test of time. 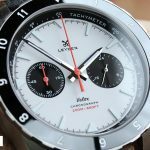 The specs include 3 year battery life, +/- 20 seconds per month accuracy, date, 24 hour indicator and chronograph functionality. 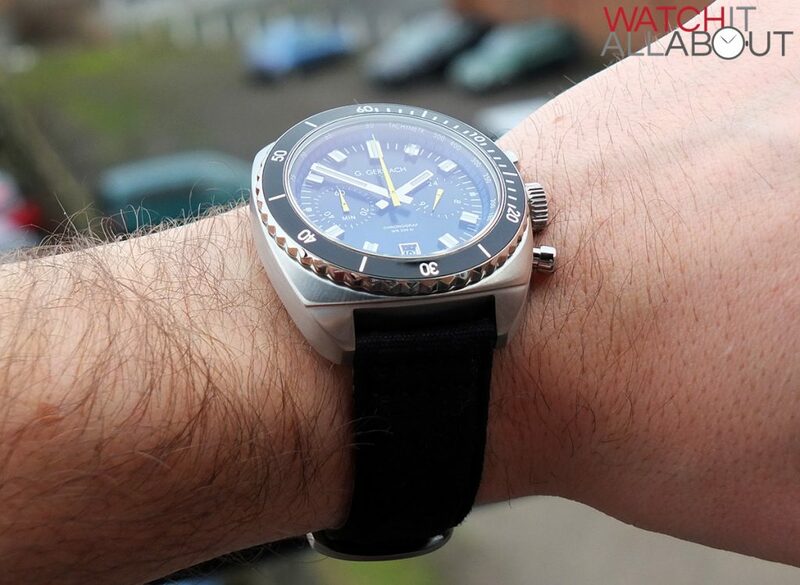 The quality of this timepiece has staggered me, it looks and feels the quality of a watch at least double the price. Firstly, it’s well designed, which is always important. But it’s the sheer weight and attention to detail that has struck me. 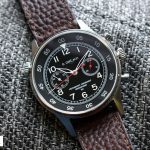 The case is great, with a super clear double domed sapphire crystal (not seen very often on affordable watches) and anti-reflective coating (I always think a decent AR makes a watch look expensive), and also a dial that’s been well thought out and put together, with elements here and there that you wouldn’t expect. 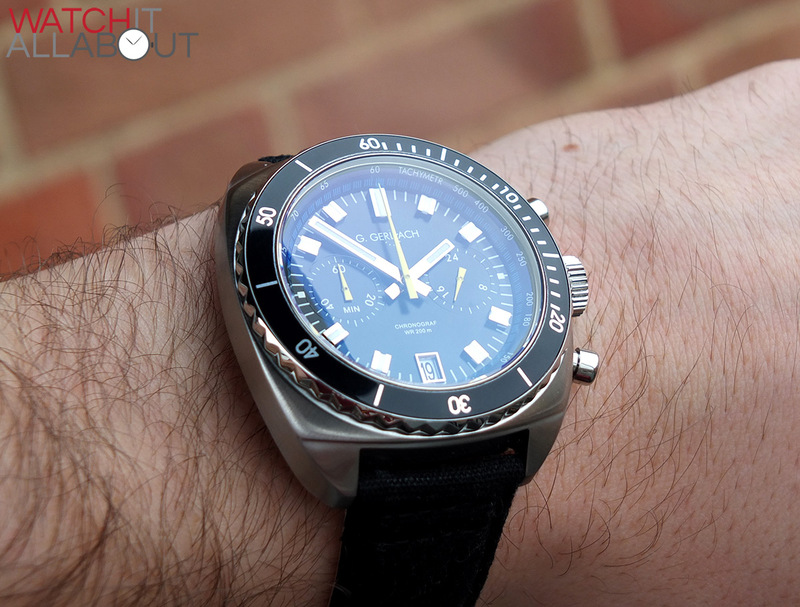 Of course, it’s not all perfect; the strap will need changing sooner than you’d think and the bezel action is a bit clunky and not so smooth, but there are minor flaws on what is otherwise an excellent timepiece. 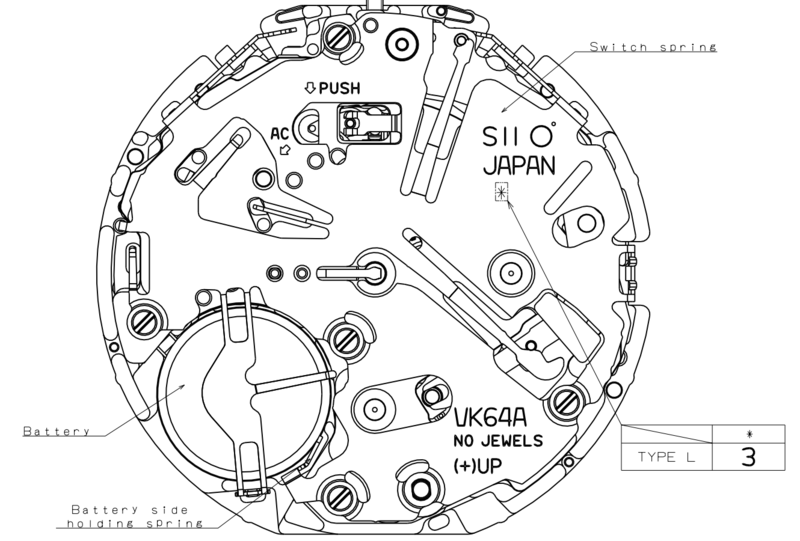 And then you have the cool mecha-Quartz Seiko movement too. 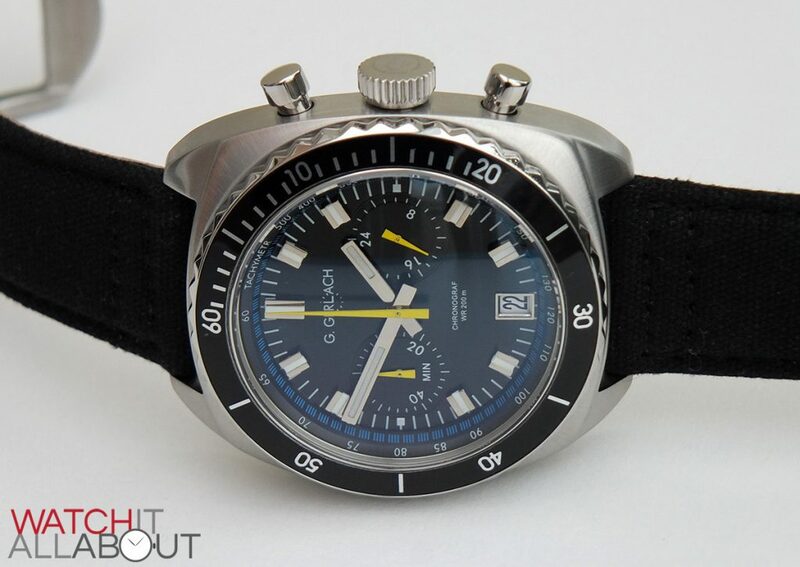 For £160 I’m struggling to think of a better option in terms of a heavy duty chronograph. Nope, I don’t think I can. If the G. Gerlach Enigma takes your fancy, then I’d highly recommend it. 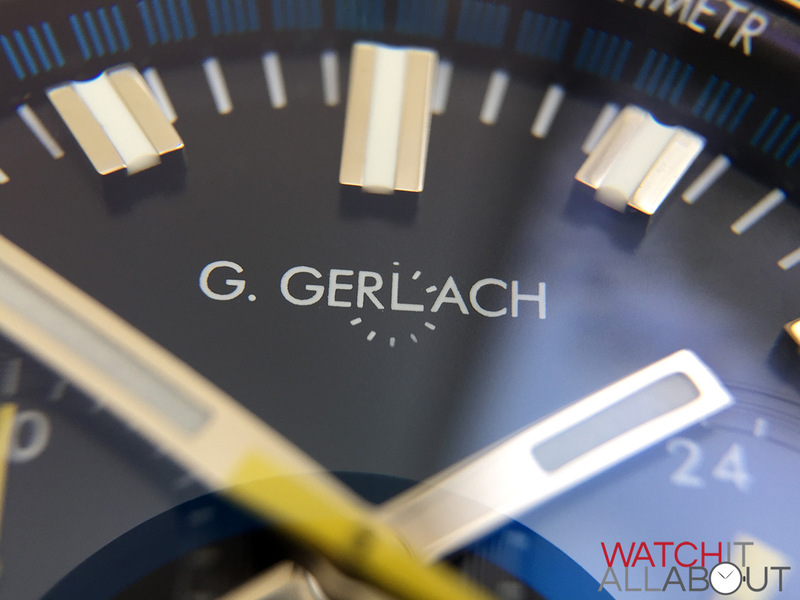 Beware of G.Gerlach watches. terrible quality and customer service. These watches arrive broken and the company doesn’t take any responsibility. Superb review, thanks a lot. 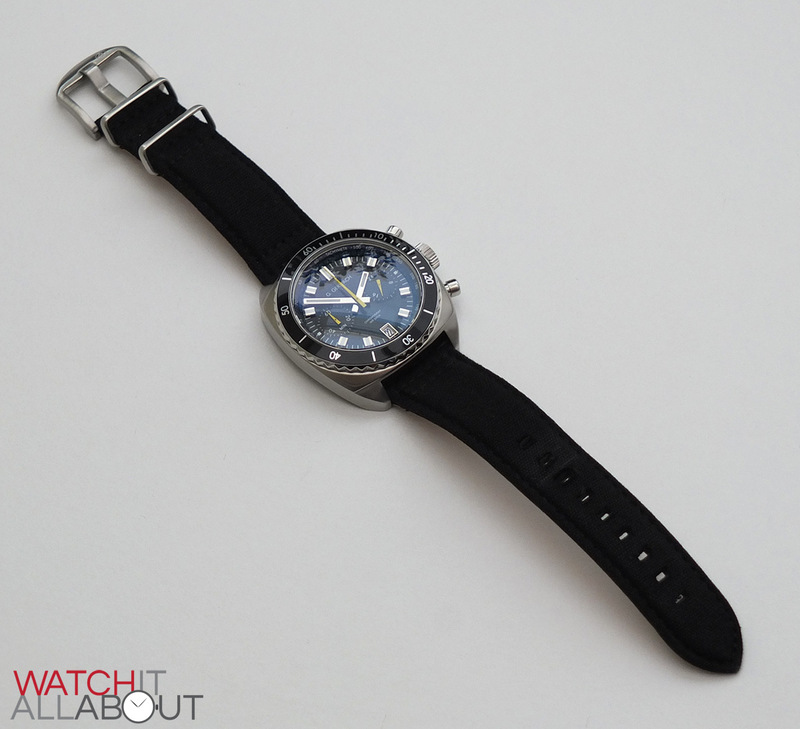 the watch looks really fantastic at an unbeatable price. Is it only found at their website or can i buy from another retailer?